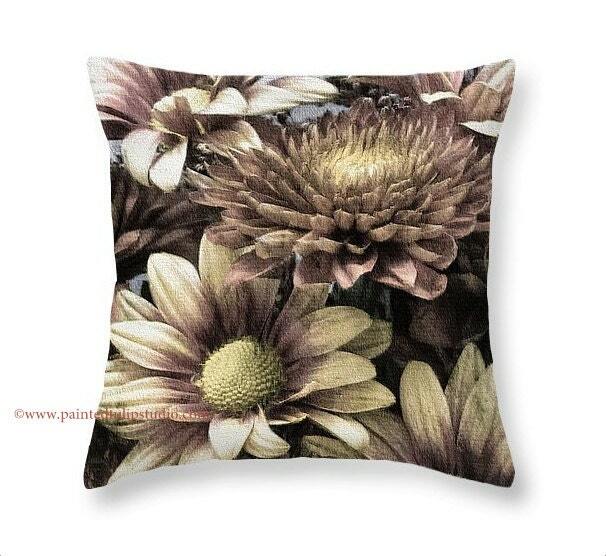 'Autumn Mum Bouquet' Fine art image square pillow home decor. Image is printed on both sides. Sizes are in inches. Order the cover alone if you have an insert or prefer finding an insert yourself. Order the Cover/Insert option if you prefer or need the finished product. Product image is a 'mockup' example, not the actual pillow. Cotton material absorbs and diffuses the inks but makes for a nice softer textured pillow compared to spun polyester. Please view reference images. 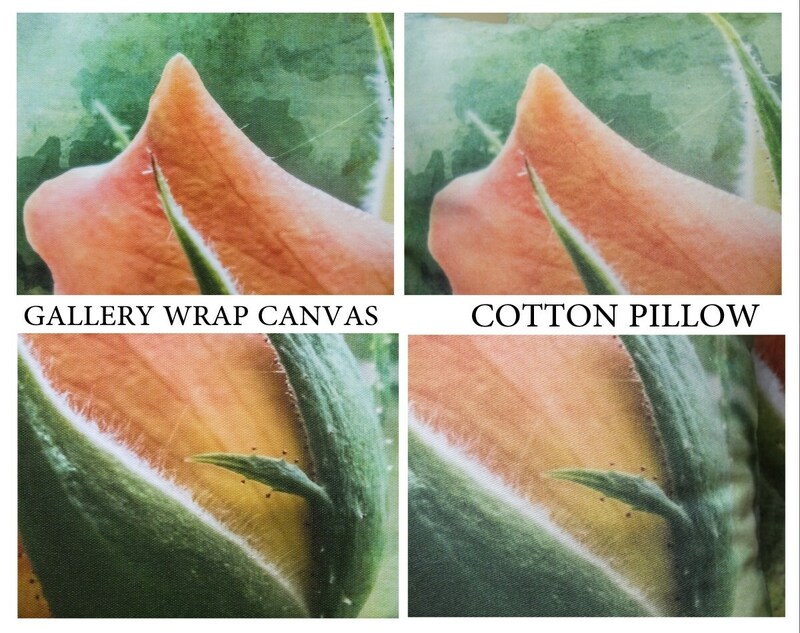 You can see the pillow is less saturated than the canvas or the photo print and yields softer details. Click the ZOOM for closer view. If color saturation is of more concern, spun polyester material yields more color, request by custom order. Hidden zippered closure. Hand wash or spot clean only. Lay flat to dry. Pillow insert is polyester fill. 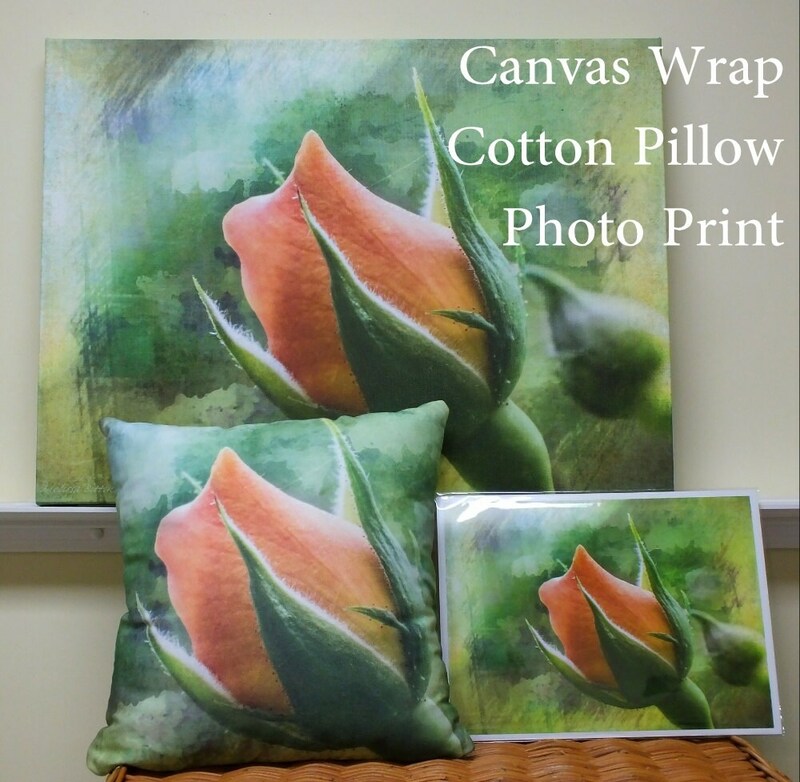 Pillows are custom printed at the time of your order and shipped directly from the printing facility located in NC. Timeline for printing pillow is usually 4 - 7 business days, then it's ready to ship!